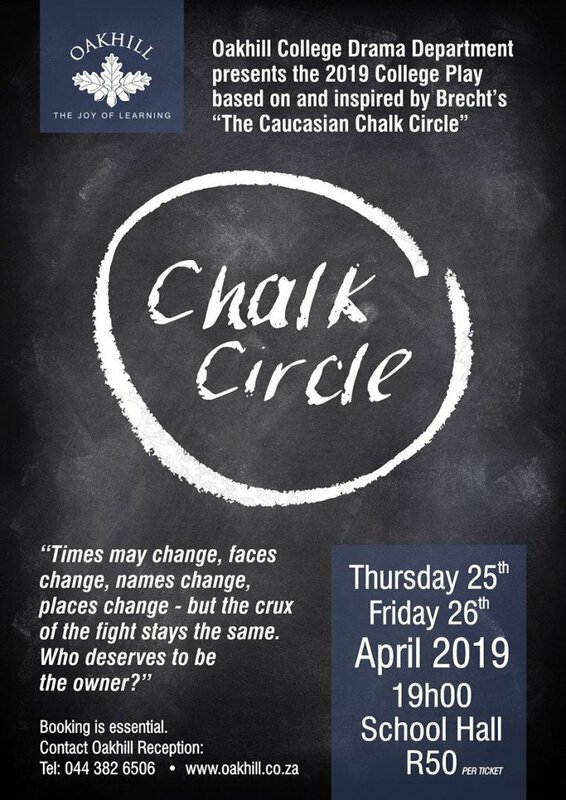 You are invited to Oakhill’s College Drama Production – Chalk Circle next Thursday, 25 April and Friday, 26 April 2019 at 19h00. 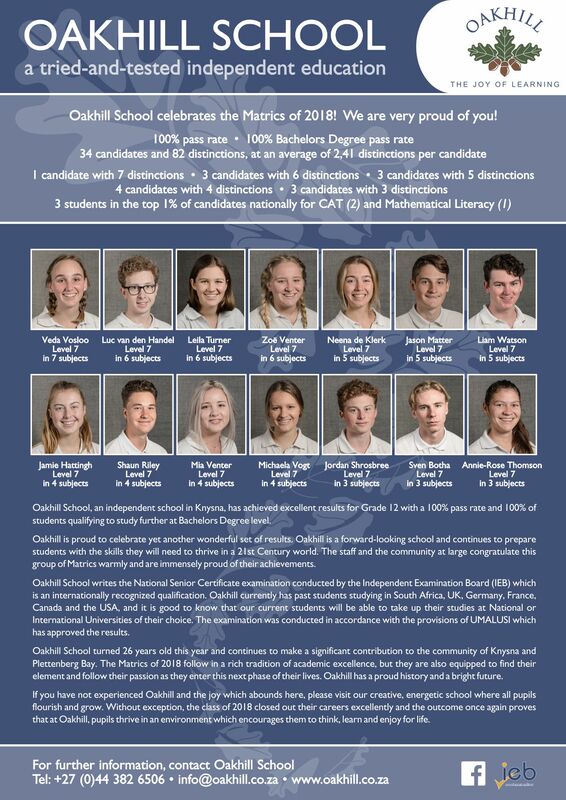 Please see the poster with details below. Brecht’s Theatre does not call for perfection – it calls for awareness and change – it calls for people to stop being an audience and rather become members of a society that will bring on change. A kitchen maid saves a rich man’s baby, only to lose herself and her dreams; a corrupt drunkard becomes the yardstick for justice; a cowardly brother sells his sister to a deranged family….. YES – this is a comedy – appropriate for ages 9 to 99. In a nutshell: Terrible is the temptation to do good. Book now to avoid disappointment. Tickets are R50 per person.